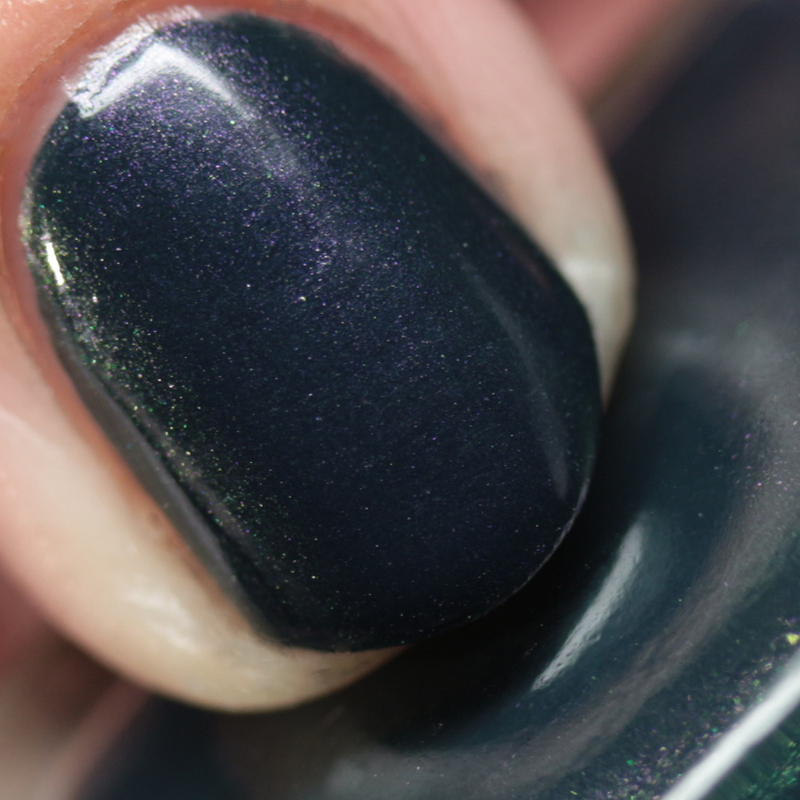 Crossroad Blues is a dark teal with scattered holo shimmer, green/gold duochrome shimmer, blue/magenta duochrome flakes, and green/indigo multichrome microglitter. It is marvelously complex! I wore it here in two thin coats, but one might be enough for most people. 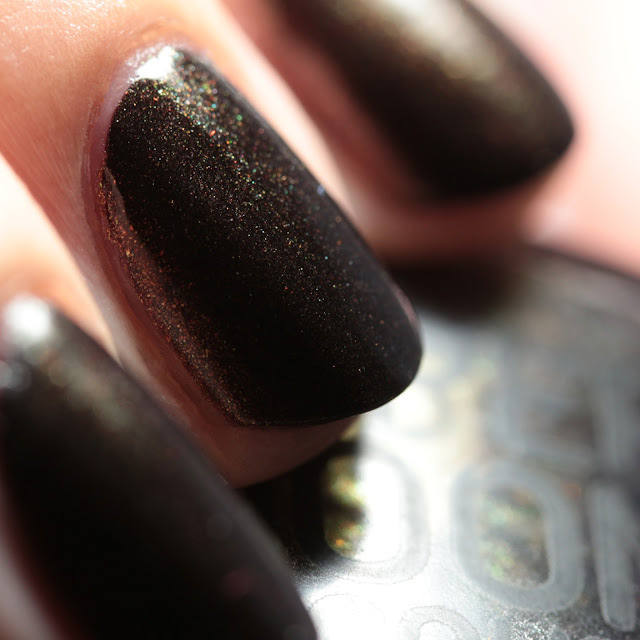 Due to the glitter, it dries a little textured on its own but smooths out with top coat. My bottle was a little thicker than the other shades in the collection, but I let Mardi know and she will make sure that shipped bottles all have the same consistency. Fight Your Demons is amazing. That is all. Just kidding! 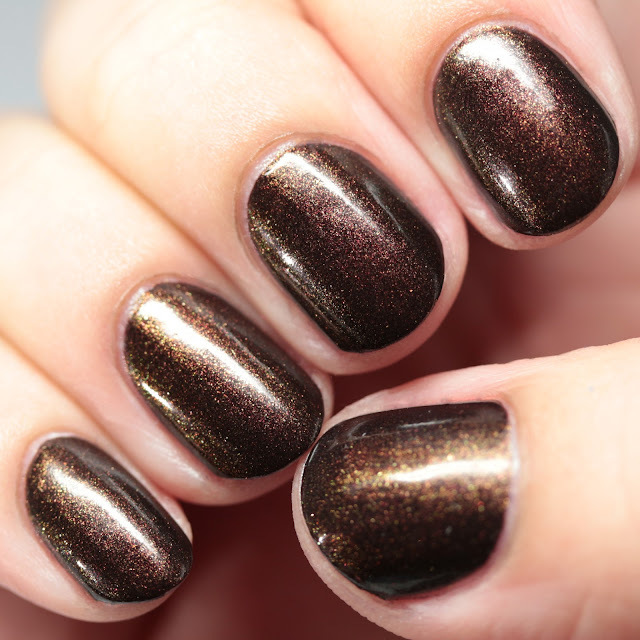 It is a dark reddish brown with copper, gold/green, and red/gold multichrome shimmer. Take a look at the macros to see how the different shifts interplay. It is amazing! 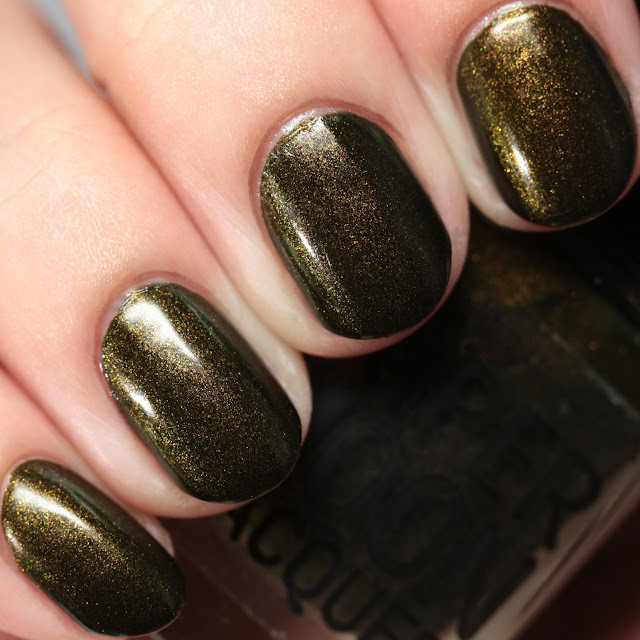 I am a huge brown polish lover and I really like the hints of green and red in this. One-to-two coat, quick-drying perfection. 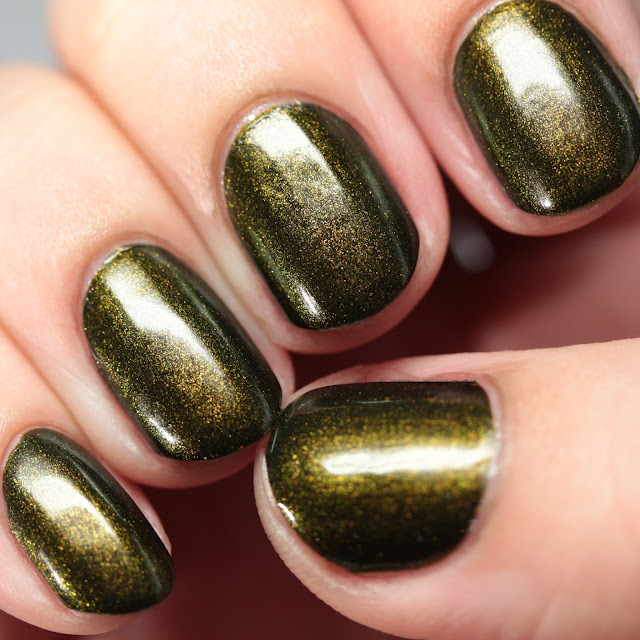 Green Goddess is Fight Your Demon's dark olive sibling with bronze/green multichrome shimmer. 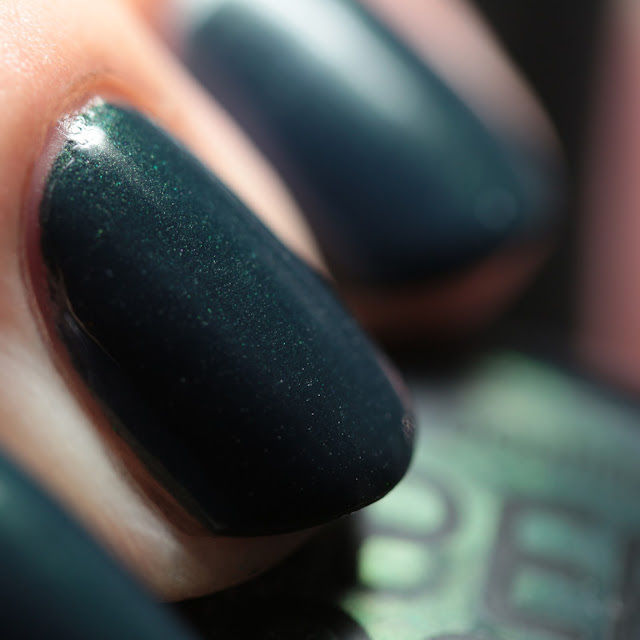 It also has the same opaque, quick-drying formula. 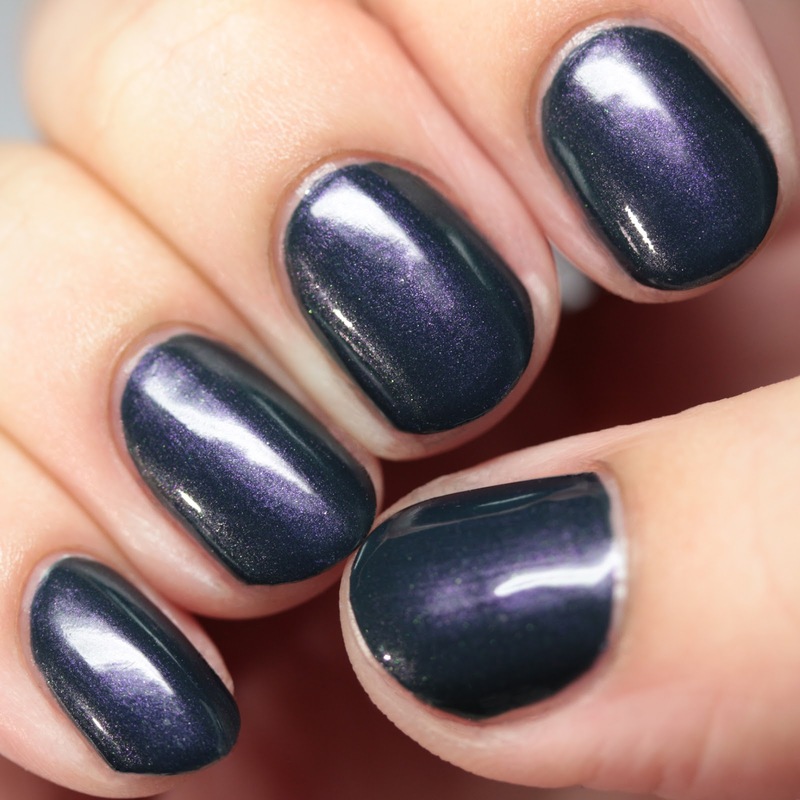 Knight's Strength is a dark navy with strong magenta/green multichrome shimmer. 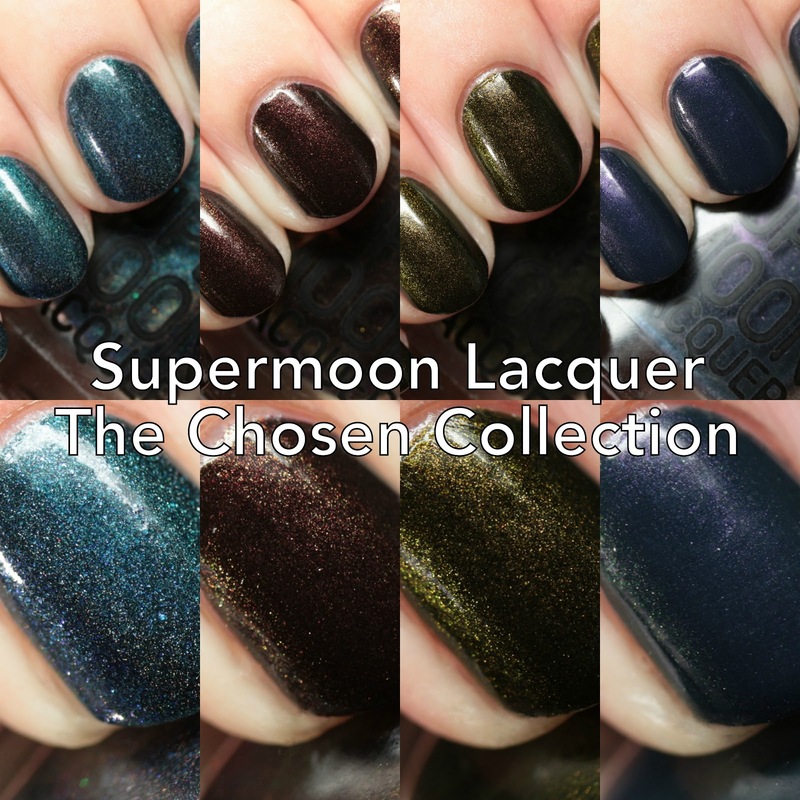 It has a smoother, less sparkly shimmer than the previous two. Same one or two coat quick-drying formula.